When we think about bathroom remodeling projects, we tend to think about stripping everything out and starting over. If you are on a tight budget, like many of us, then you do not have the luxury of taking this approach. Instead, you have to think a bit outside the box to give your bathroom a makeover and improve its appearance using these great tips. Ditch the tiled tub and shower and go pre-fab. You can get a one-piece shower stall or a combo tub and shower enclosure to replace your existing shower tub. The best thing about pre-fab is it includes all the wall panels and pieces, so you are not spending hours or a lot of money tiling, grouting, and caulking. Cover up blemishes. If you have some cracked or missing shower or tub tiles, they are easily covered up when you install pre-fab shower or tub wall panels. If there are dents and dings along the wall at the floor level, install a decorative baseboard to cover them up.You can also find wooden panels, called wainscot, to cover up the lower portions of the walls to hide dents, dings, and even holes. Wainscot panels come in a variety of designs and heights up to four feet tall. Resurface cabinet doors, drawers, and handles. You can give your cabinets a new look by resurfacing the doors and drawers. You can paint them and replace the handles to make it look like you installed new cabinets. One popular design is to paint the cabinet base one color and the doors and draws another color. Resurface the bathroom floor with low-cost flooring. You don’t have to spend the money for hardwood flooring or marbled tiles to upgrade your bathroom floors. There are laminates and luxury vinyl planks that give the appearance of hardwoods and marbled These two flooring options are less expensive and often can be installed right over the existing flooring. Repurpose and reuse mirrors. If you have a huge wall mirror that you dislike, don’t toss it out. Instead, take it to a glass cutter and have them cut it down into several smaller mirrors. You can get wood molding or use baseboard to frame the new small mirrors after you have rehung them on the wall. Paint the walls a new color. 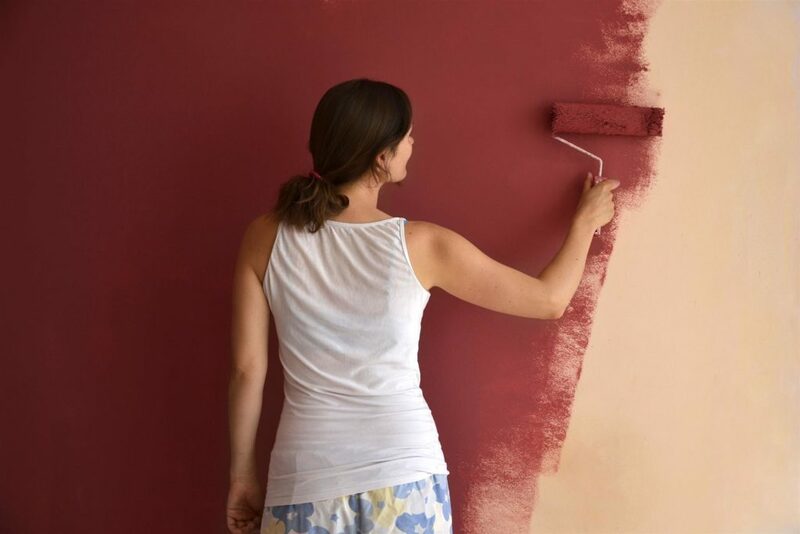 Painting is one of the easiest things you can do to give your bathroom a new look. If you intend to use baseboards or wainscot panels, paint the walls first, then install these afterward. Install a new toilet by yourself. It might sound like installing a toilet requires a plumber, but, as long as you are not moving plumbing lines, you can do it yourself. Grab a friend and find “how to” videos online to watch together. As you can see, there are several things you can do yourself to remodel your bathroom and give it a new look without having to tear it all out. 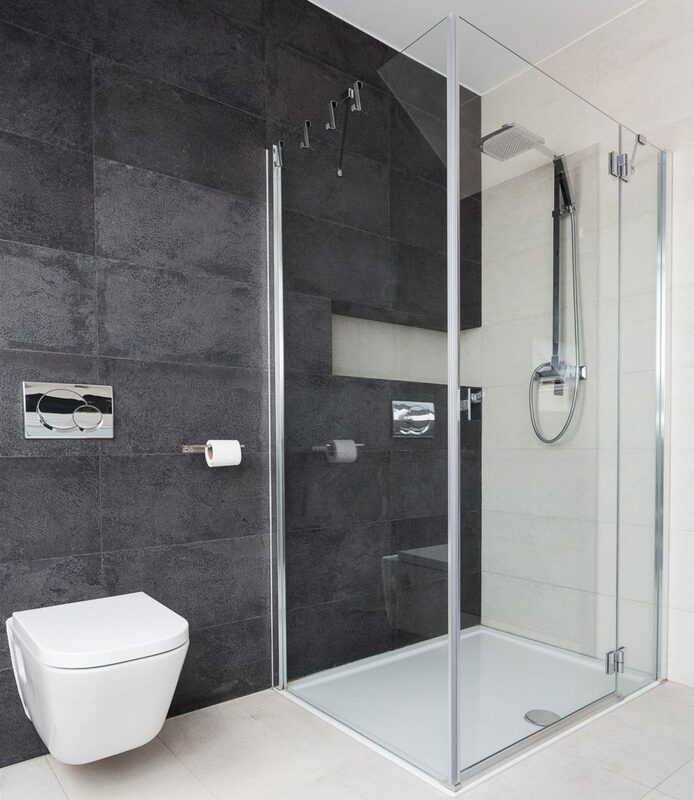 For assistance in selecting the right shower and bath enclosures for your bathroom, please feel free to contact American Bath Enterprises, Inc. at (888) 228-4925 today!